Back to the Future Part II is a 1989 American science fiction comedy film and the second installment of the Back to the Future trilogy. It was directed byRobert Zemeckis, written by Zemeckis and Bob Gale, and stars Michael J. Fox, Christopher Lloyd, Thomas F. Wilson and Lea Thompson. 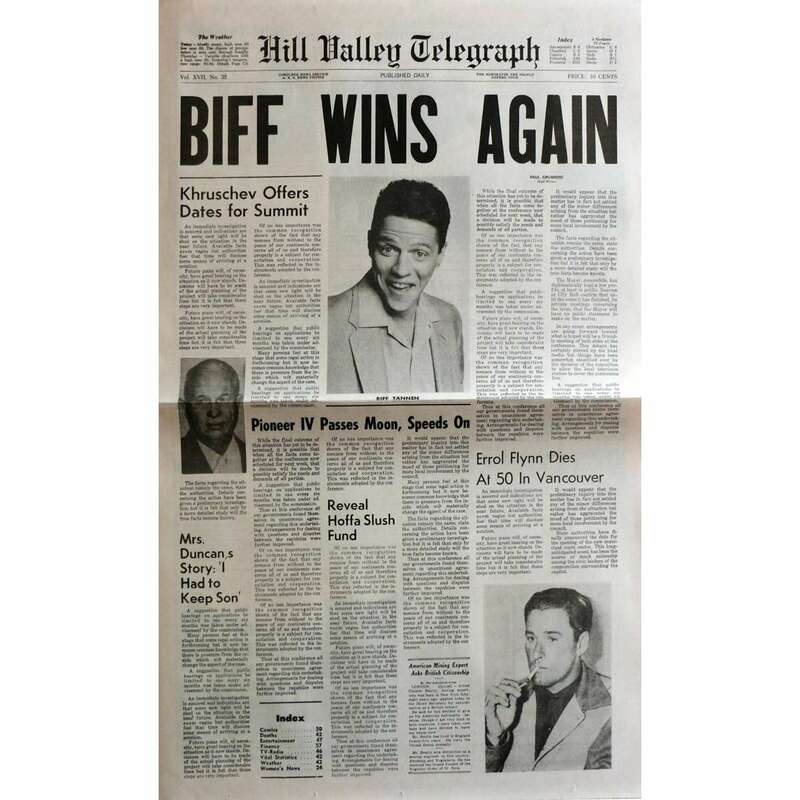 Part II and the third installment of the trilogy, Back to the Future Part III, were filmed back-to-back, with some of the scenes of Part II and Part III filmed concurrently, and released six months apart. Although released in 1989 and 1990, both films continued to portray 1985 as the present, as they directly follow the events of the first film. After Marty McFly returns to 1985 after repairing the damage to history by making his parents-to-be fall in love in 1955, his friend Dr. Emmett "Doc" Brownhas him travel to 2015 to prevent his future son from getting involved with Biff Tannen's grandson Griff. 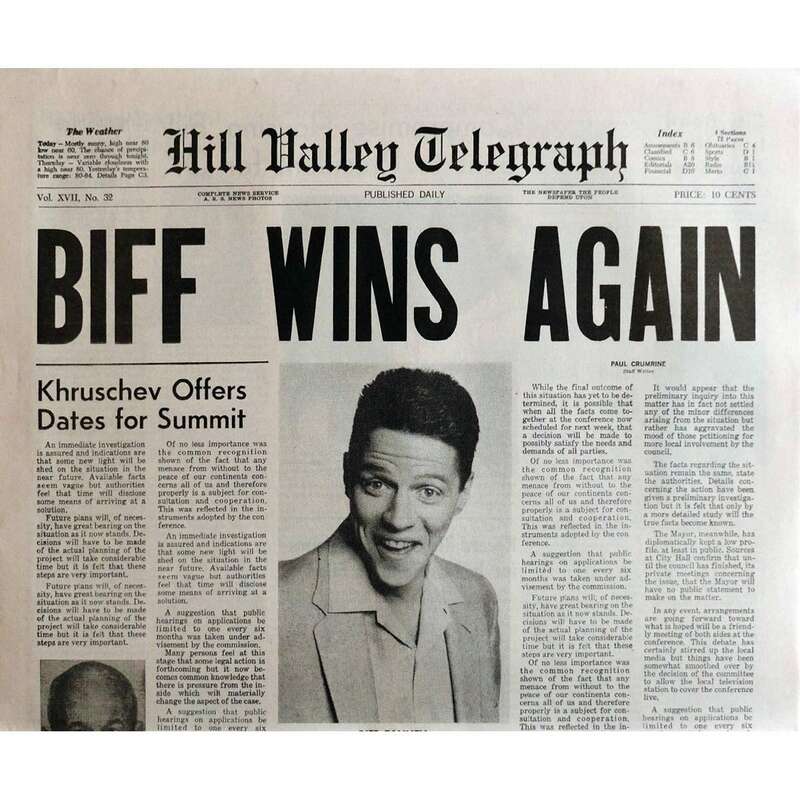 However, Biff travels to 1955 and completely alters history. Marty and Doc travel to 1955 to stop Biff so they can restore the original timeline. IMPORTANT : This project is the result of many, many hours of work recreating the pages exactly as they are seen in the film. Over 100 hours of careful, precise page reconstruction, font matching, and graphic design work using the best images and reference available. Certain typefaces in the originals don't exist as fonts. than settle for a similar font, It has been recreated. These are exact size 4 page sheets, and they each include inside pages taken from screen accurate source material, which are also the well-known "Recycled Newspaper Prop". 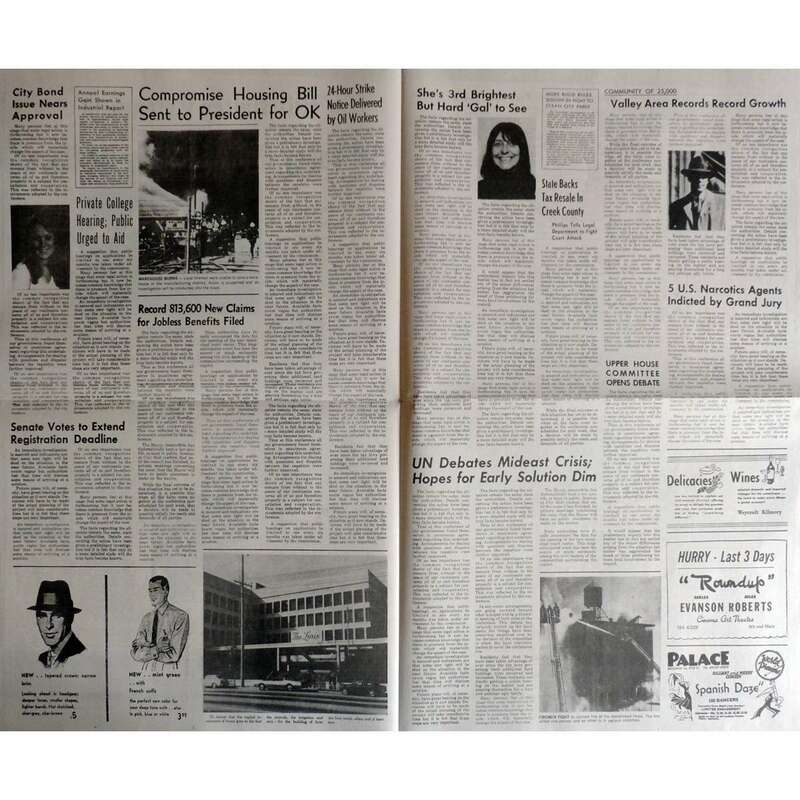 It is very difficult to locate any version of that prop newspaper. 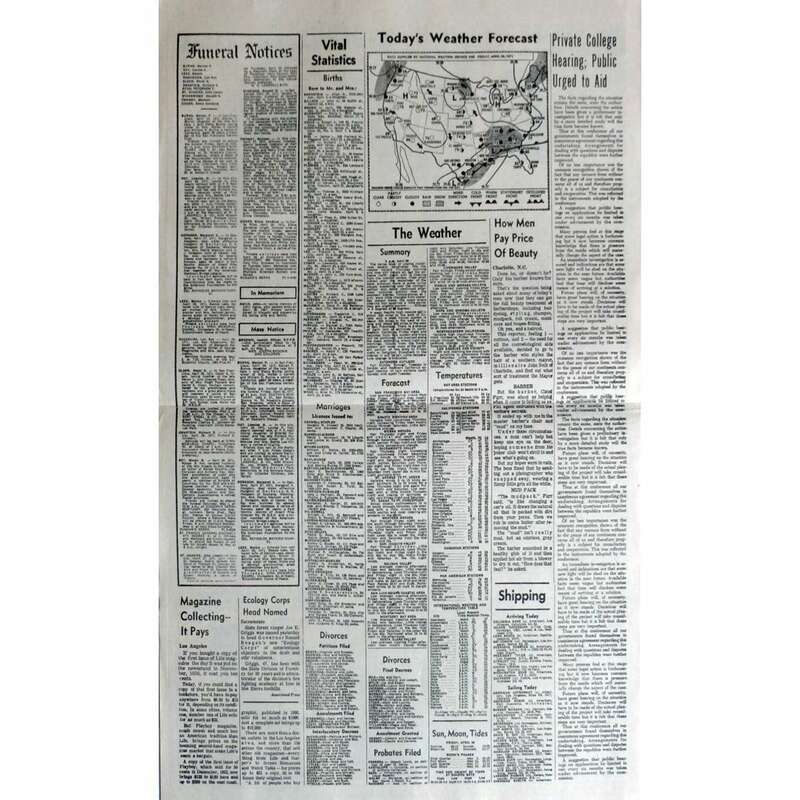 PLEASE NOTE: This is a FULL SIZE, QUALITY replica, printed on a real newspaper press just like the original props, NOT some cheap, inaccurate low-resolution inkjet on copy paper like a lot of other "Prop Replicas" you can find anywhere else.